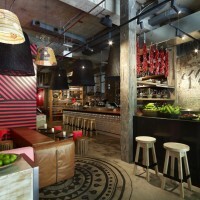 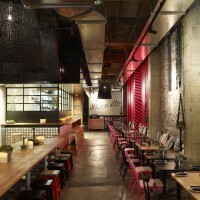 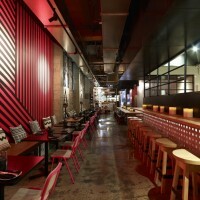 Juicy Design have designed a restaurant and bar called Méjico, located in Sydney, Australia. 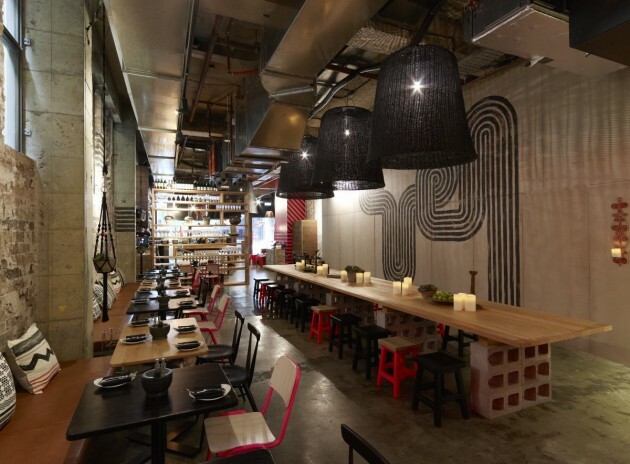 Our journey with this restaurant started with the client’s clear vision for the menu, that sort to differentiate from the recent influx of Mexican food into the Australian market. 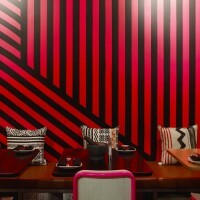 We in turn needed to ensure that we delivered a brand and restaurant experience that matched this desire. 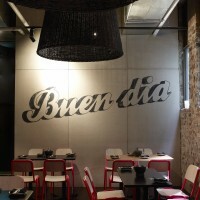 In the naming of the restaurant we wanted to express authenticity and really own Mexican food and ‘Méjico,’ the local name for Mexico seemed to fit well. 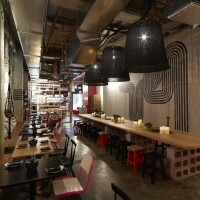 In the development of this brand we wanted to avoid the obvious cliché’s and create a space that reflected the culture, without becoming a pastiche. 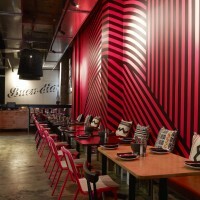 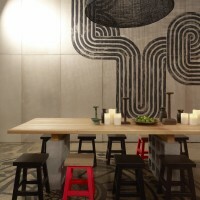 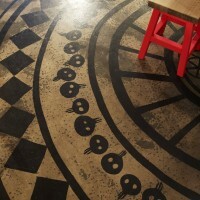 We use very bold, hand painted graphics, on floors and walls, to set the energy levels high. 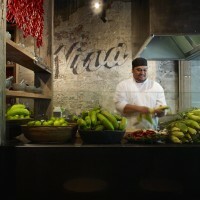 The planning of the restaurant brings food to the street, with guacamole, limes, chili’s and roasted corn as the centerpiece. 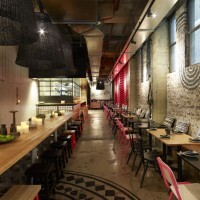 This wraps into a bar to cater for early diners and those who just want to come for the tequila! 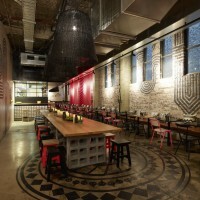 The restaurant then sweeps down, mixing communal settings with more traditional banquette seating, anchored with an open kitchen at the rear.